We started the day with another early morning visit at the local Volkswagen dealer and again got great service. As the diff was still frequently making very unpleasant noises, we asked the mechanics to change the diff-oil again, which was done within 1.5 hours. 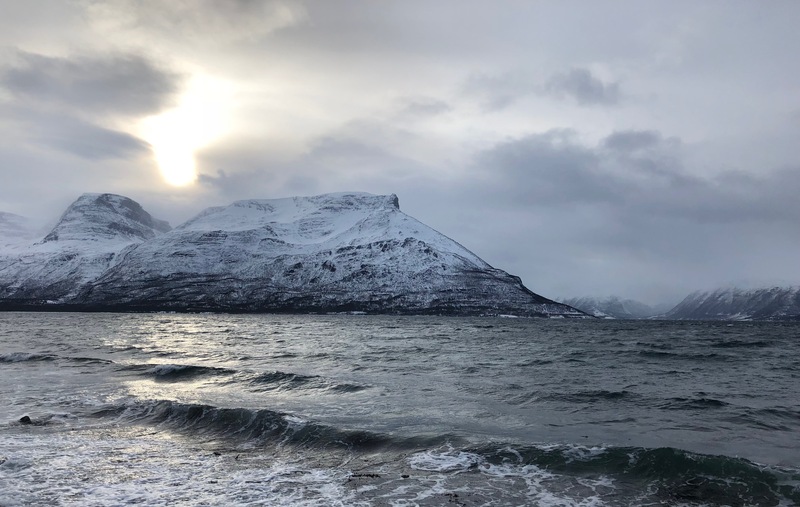 After we learned that VW still found some of the wrong old oil in the diff, we were sure we had done the right thing and left Narvik around 10am, heading north, very north, direction Nordkapp. The first hours went through the mountains. We drove next to large military training areas and saw quite some Norwegian and Dutch troops on the street, with interesting small tanks and Army snowmobiles. Later, we reached huge fjords, with majestic and steep rocks, covered with snow and ice. As breath taking these Fjords are, as cumbersome they can be! It took us a full 40 kilometres to get some hundred meters more north. Furthermore, the street (E6) is the only street in the entire area. Good and bad: you never start to look for a diversion option in case the road is closed, e.g. by a construction site, as an alternative route would mean some hundred additional kilometres. In the early afternoon it started to snow and between two Fjords, we had to cross a small pass. Prior to it, the road was closed again for another half hour. A quick chat with Team 4×4 magazine helped to bridge time until we could drive in a convoy behind the snow plow across the open plateau pass. Not the actual light snowfall was the problem, but a heavy storm, that was blowing snow from the surrounding fields on the road. As unhappy as we were to wait for the plow, as much did we now like driving behind it. Another surprise to me was, how densely north Norway is still populated. 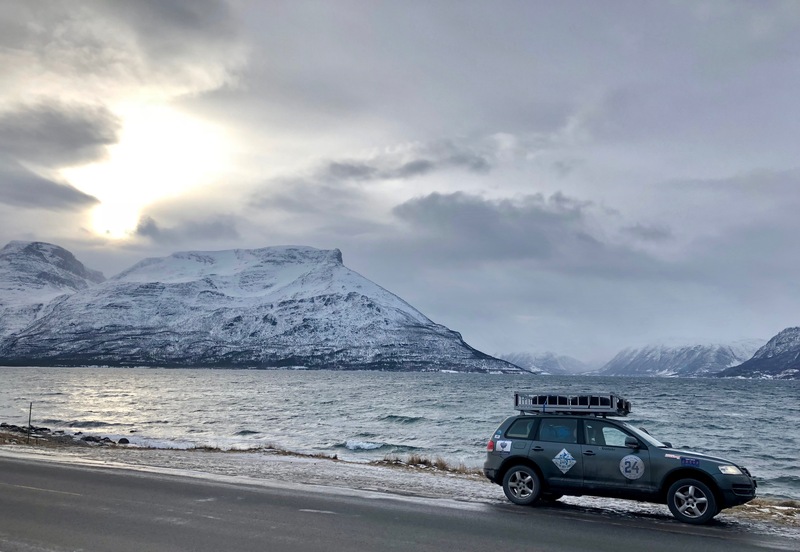 Already in the dark, we drove through the harbour city of Alta, with an unexpected 20.000 inhabitants and being just 2 hours away from the Nordkapp. A speed limit bumper in Alta made our differential “sing” again, while we drove through heavy snowfall in the dark across wide white plains, happy for the red sticks indicating the road. Around 8pm we finally reached our place for the night, a nice cabin directly above the Porsanger Fjord. As it was impossible to reach the place by car, the owner helped us to carry our suitcases and beer on a funny tracked little vehicle. Arndt created a tasty tinned Gulasch soup for us. All set for a romantic night up in the north. Unfortunately again too cloudy to see any Aurora Borealis.